Judging by the above photo taken by Journal graphic genius Lynn Jones on her lunch break, I'd say that sucker's just about at capacity. Note how much lower in the water it's sitting compared to a few days ago. 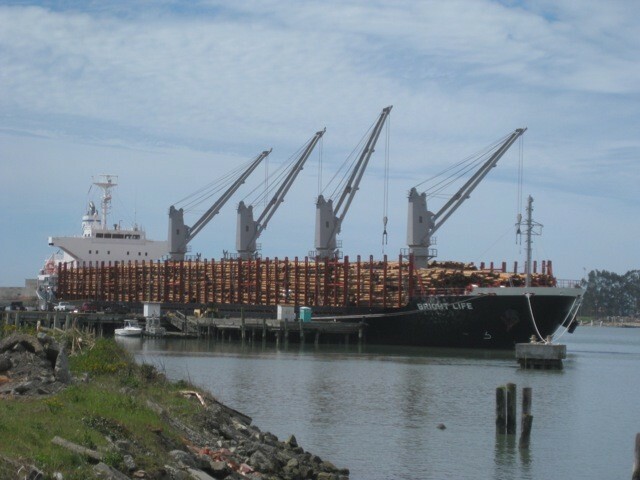 This is why we dredge the entrance to Humboldt Bay.